Spring appears to have arrived in most parts of the country. As a wholesaler of designer sunglasses, we know that means an up-tick in business. We also know that spring is the season for pop-up shops in the apparel sector. Combining the spring shopping mentality with pop-up retail could mean big things for you as a seller. Pop-up retail is designed to be both short-lived and trend-based. Note that trends in our business do not necessarily have to be related to particular styles of sunglasses. Retail sunglasses are also subject to seasonal trends, which brings us right back to spring. Spring is when people start getting outdoors more. It is the time of year they start thinking about family gatherings, sports and recreation, and even planning family vacations. All of this activity centers around warmer temperatures, blue skies, and sunshine. So it is natural that sunglasses experience a surge in sales during the spring. We believe the short-term nature of pop-up retail makes it ideal for selling sunglasses in key locations. Below you will find some tips for selling in a pop-up location. Note that pop-up retail might not be right for you, depending on your local retail environment. Location is as important to pop-up retail as traditional retail. There is no point in attempting to sell designer sunglasses in the middle of the city where tall buildings block out the sun. Look for a location where sunshine is most ample. For example, a pop-up shop located somewhere near the beach would be ideal. If you live in a tourist-heavy area, a location near popular hotels would be very smart. There is a fine line between success and failure in pop-up retail. We have found that the line is often delineated by marketing. Experts say you should work to build plenty of buzz in advance of opening your shop. You can do that through social media, paid ads, blog posts, and localized SEO. As important as online marketing is, do not rely on it exclusively. Remember that what people see from the curb will ultimately determine whether or not they pay a visit. This suggests making an effort to really dress up the space – particularly any windows the space might offer. Think attention-getting banners and signs here. You want people to have a reason to walk through the door. Let them see that reason from the curb. Next, you can maximize pop-up sales by offering customers a great deal. Pop-up retail is a prime opportunity for a buy-one-get-one (BOGO) deal or something similar. The idea here is to make your money on volume rather than unit pricing. Remember, pop-up retail is organically short-lived. The goal is to move as many pairs of sunglasses as is humanly possible. Hopefully any pop-up shop you decide to open will do extremely well. But what happens after it closes? That's up to you. We recommend you develop a marketing strategy to take advantage of the momentum your pop-up shop generates. The idea is to give your pop-up customers an incentive to visit your normal retail outlet. Find a way to give them a reason to tell others about your business. Spring is the season for buying new sunglasses. It is also the season for pop-up retail in the apparel sector. 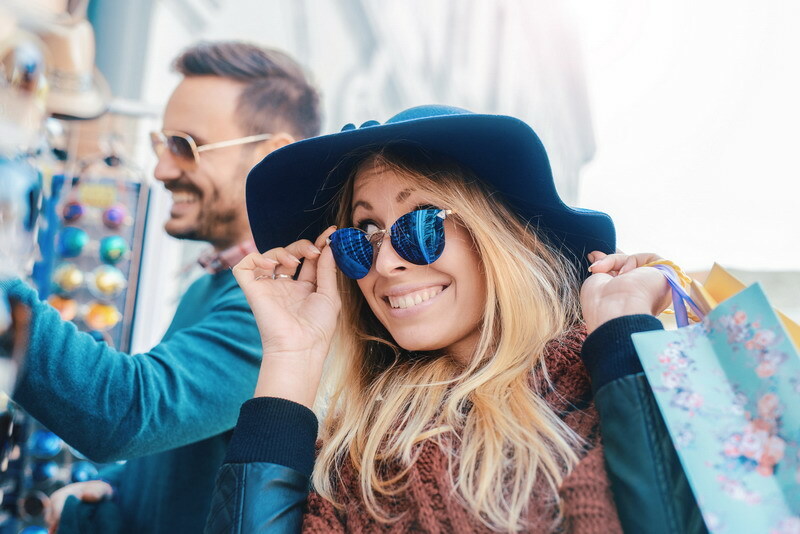 If you are a retailer of sunglasses, this is the time of year your business could get a significant boost through pop-up retail. It is worth thinking about.